You must make reservations at least 5 minutes in advance of the time at Michelangelo Ristorante. Michelangelo Ristorante offers valet and street parking. Since our regulars have been asking us to bring the food they crave at Michelangelo to their special events, we have been catering for years. Michelangelo Ristorante is a romantic, charming restaurant located in the heart of the trendy Silver Lake neighborhood in Los Angeles. Since 1997, chefs at Michelangelo have combined the freshest ingredients and years of experience to prepare authentic Italian dishes. Michelangelo recently received Open Table's Diner's Choice Award in the Best Italian, Best Overall, Best Service and Neighborhood Gem categories. 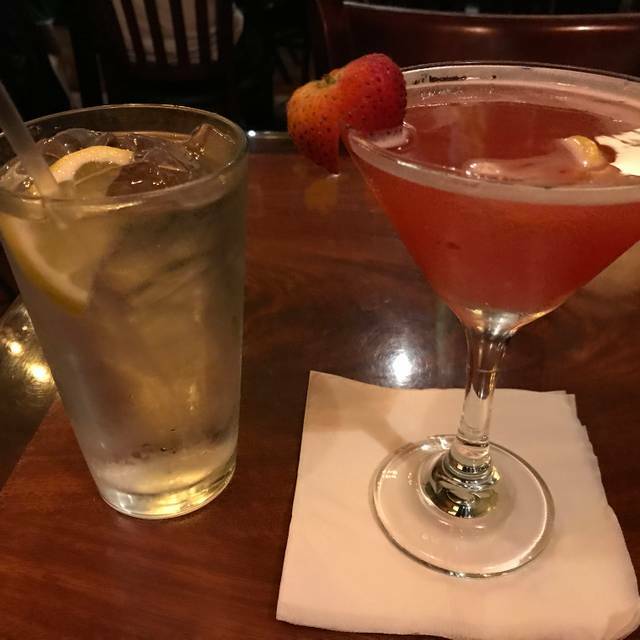 Regularly visited by celebrities, this family-run restaurant is a sure bet for an excellent romantic meal, special event, happy hour or business meeting. Michelangelo Ristorante offers an enticing and creative menu consisting of fresh home made pasta, steak, veal, fish and other delicious dishes from Southern and Northern Italy. The chefs also create delicious specials offered on a daily basis. Pair your authentic Italian dinner with a great selection of Italian wine or our full line of liquor menu. pasta and white beans soup. homemade mozzarella cheese and roasted bell peppers over toasted bread, topped with sun-dried tomatoes on a bed of mixed greens. fried ravioli with marinara sauce. ask for the fried ravioli of the day. romaine lettuce, anchovies, parmigiano and homemade croutons. romaine lettuce, tomatoes, red onions, radicchio, kalamata olives and goat cheese. fettuccini pasta with cream sauce finished with parmigiano. fettuccini tossed with light tomato sauce and fresh seasonal vegetables. homemade potato dumplings with a choice of sauce (porcini mushroom, pesto, pink vodka or pomodoro). linguini pasta with calamari in a fresh tomato sauce. linguini pasta with manila clams sauteed with a garlic olive oil and white wine sauce. pappardelle pasta with mild italian sausage sauteed with garlic, tomatoes, spinach and olive oil. penne pasta with kalamata olives, capers, anchovies in a marinara sauce. penne pasta with shrimp and artichoke hearts in a fresh tomato sauce. spinach and ricotta stuffed ravioli with sage butter and julienned vegetables. homemade ravioli stuffed with spinach and ricotta cheese in a cream sauce with radicchio. homemade ravioli stuffed with spinach and ricotta cheese in light tomato sauce. rigatoni pasta with light tomato sauce, onions and pancetta (italian bacon). rigatoni pasta with beef, zucchini, carrot, basil and light tomato sauce. rigatoni pasta with prosciutto, peas, parmigiano in a cream sauce. homemade meatballs with light tomato and basil sauce. all main courses are served with roasted potatoes and steamed vegetables. grilled rib-eye served with a whole roasted garlic. thinly pounded veal sauteed with marsala wine, topped with mushrooms, spinach and melted mozzarella. (Also available with lemon & caper or porcini mushroom sauce). grilled chicken breast cooked on a white wine artichoke heart sauce. chicken breast sauteed with onions, bellpeppers, kalamata olives in marinara sauce. breaded chicken breast topped with tomato sause and melted mozzarella cheese. shrimp, calamari, mussels, clams cooked with a marinara sauce served with toasted garlic bread. grilled assorted fish of the day marinated with olive oil and herbs served on a bed of mixed greens. chef's sauce of the day. stuffed with spinach, ricotta cheese, mushrooms and ham. four cheese and tomato sauce. artichokes, ham, mushrooms, bellpeppers, mozzarella and tomato sauce. What a great find! Fantastic food and fun ambience. Service was spectacular. We will be back! Michelangelo's has become a once a week "go to" gem. Great food and Giulia provides awesome service. Great service and food. Had a really nice birthday celebration. Our first timer friends loved it!! A Silverlake gem that has served great meals and service for years. They have a solid menu of Italian dishes, and usually some interesting specials. Very unpretentious and friendly. Family-run with a lot of heart. Also, good place to watch Dodger games. Finally, they make a killer Negroni. Michelangelo is my favorite italian restaurant in all of Los Angeles. partake in an authentic restaurant like Michelangelo. They don't scrimp on fake food.....they make it according to Mama Domenica always has. Always a great time at Michelangelo with good food and caring service. Just such a great neighborhood place! Thoughtful staff. Great food. Best place to get a taste of Italy in the Southland. Domenica and Son Antonio speak fluent Italian and welcome you as if you were coming to their home. Food is prepared with authentic Italian sauces and spices. Cant wait to return next week! Great food and service but it's so loud in there and the tables are too close together. Authentic Italian food, homey feel. The owner, Antonio said hello to our table multiple times. The pasta was very good and we had just returned from Italy craving that great homemade Italian pasta. They did not disappoint. I would call this a neighborhood gem. Portions are generous and the quality is outstanding. Service was perfect. If you want Italian, a definite go to restaurant. Their pappardele sausage dish featured in the LA times was excellent and would be my first choice. Pizza excellent. Pasta with meatballs good. One of my favorite neighborhood places. Pasta is always amazing, pizza is great and their special are fantastic. Super kid friendly and the owner, Antonio makes you feel so special. Quality is ok the cost is too high. Overall our experience was fair but I gave to ask why go out to eat for a fair meal? Would I recommend Michelangelo to a friend? How about more like even to any stranger I come across. This just flat out is a magnificent, family-run restaurant. They use the freshest ingredients on their handcrafted menu and it shows. I can't go and not get the prosciutto and mozzarella crostini and Ricotta or chocolate tart. These items bookend all my meals here, I can't get enough. If crostini isn't your thing then I'd recommend the fried calamari or fried ravioli. Looking for something a little lighter with rich flavors and colors, then the bruschetta is your culinary accomplice. Whether you want to try a classic like their Fettuccine Alfredo, a lower calorie dish of grilled seafood with herbs and olive oil, or dig into a steak with some peppercorn sauce, you simply can't go wrong with any choice on the menu. Finally authentic Italian food in L.A. Amazing pasta! Recipes are from family and rich in taste. Nice location and very friendly people! Good, casual fare served with passion by the Italian owners. Fresh and very good salads and pastas. The food was deliscious and the mood of the restaurant was great! Fully recommend for large parties and very family/kid friendly. Highly recommend this place! Servers were always checking in, making sure you were attended to. It wasn't busy at the time, so I can't say what the service Is like on busy days. Grest food and humble place . This is one of my favorite places in the neighborhood. The food is outstanding and the ,emu is so large you can try something new each visit. The staff is great and you can see how much the customers love them. Make this a Go-to place. You will be happy you did so. The vast majority of reviews claimed this to be THE BEST Italian restaurant in LA. We went on a quiet Sunday evening and the restaurant was not crowded at all. The service was great, the drinks were good, but the food was mediocre. Not saying it was horrible, just saying that it was average at best. I honestly find it impossible to believe that so many reviewers raved about it being “the best” - perhaps they’ve only eaten at Olive Garden??? Michelangelo has become our favorite restaurant since we moved into NELA. Kid friendly but still grown up. I was treated like I was not a paying customer by a female waitress. So sad that discrimination is still happening. The food was good but customer service is only for non Hispanic customers. If it weren't for the latino guys working there I would have not been served!!! When I approached the owner all he said was that he was sorry and asked me to not write a negative review. Definitely will not go bk nor recommend this restaurant to my family or friends. $6 valet to park car 10-15 feet away, then leave and hand me my keys during my meal. Not good. Reservation was at 10Pm and was told the kitchen was closed upon arrival. Not good. The place feels like a nice and cozy Italian restaurant. Good. Food portion+quality does not match the price. Way overpriced. Not good. Overall, a bad dining experience. Not good. Always a fantastic meal! They can't be any more accommodating. Wonderful staff yummy food and chill vibe. Thanks folks! We love coming here and everyone is so nice. The food is delicious. Good for all occasions. We are now regulars at Michaelangelo. We go downtown a lot for the events and this is our new go to restaurant before those events extremely convenient, really good food, great service, easy parking. We avoid the crowd parking twice downtown by stopping here first. Just 12 minutes to the Music Center and L.A. Live. Really enjoyed our time at Michelangelo's! I have driven by for years but never gone in. 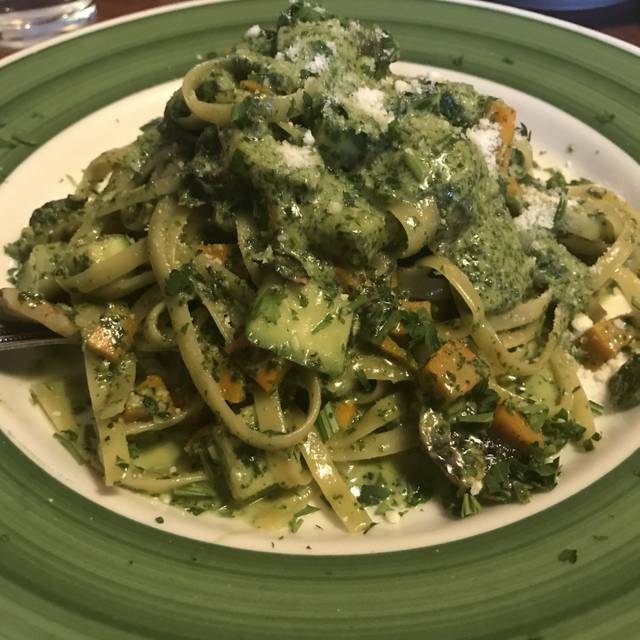 We have our usual spots we frequent for Italian cuisine, but upon a friend's suggestion we decided to give it a try and it is now among our favorites! Pasta was delicious, good sized portions, salads were super fresh and big enough to share, and the tiramisu was heavenly...and homemade by the proprietor herself! Servers were friendly and helpful with suggestions for an elderly friend who was joining us. Highly recommend and will definitely frequent from now on! Thanks Michelangelo's! Went there on our wedding night and given great service for our special occasion. The food was amazing and the waiter was great! Give Anthony a bonus! I love this restaurant, and the food is great. Had not been in a while and booked a 9:30 reservation for a Wednesday evening. The site said that 10:00 pm bookings were also available. We arrived early at 9:20, only to find the restaurant closed! Why accept reservations if you will be closed? They did call to apologize, but come on! Don’t accept reservations if you are going to close early! Dustin was great and funny and gave us everything we needed!